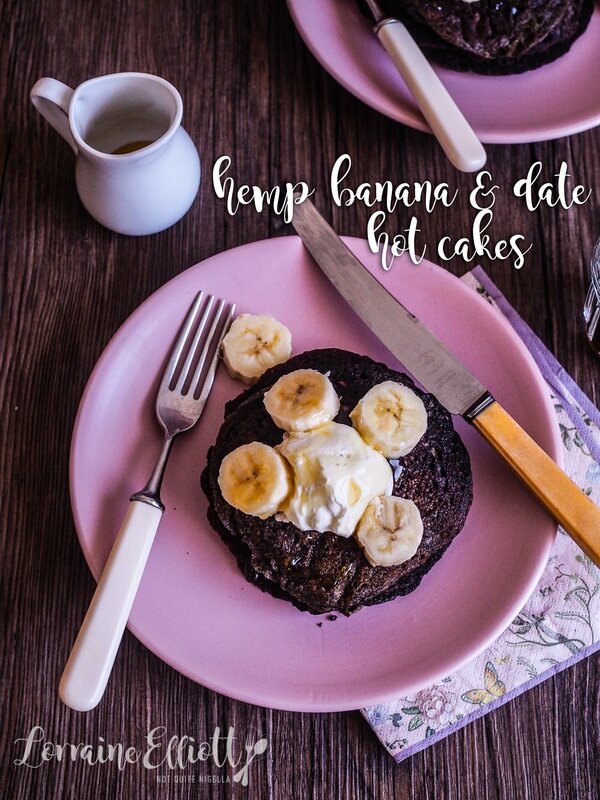 Hemp is one of those foods that has become quite popular lately ever since it was legalised in Australia. Having said that, I think it still remains on the fringes of popularity, relegated to health food stores rather than supermarkets but perhaps it's just a matter of time. Hemp probably also has the additional hurdle of being hemp so people's first question is inevitably "Can I get high from this?". By the way you can't and it has had all the fun bits taken out of it. What remains is a nutritious ingredient. Hemp flour is different from hemp protein powder. Hemp flour has had the oils stripped for it (probably to make hemp oil) so it is cheaper than hemp protein powder which still has all the amino acids in it. But don't worry Dear Reader if you can't get hemp flour. 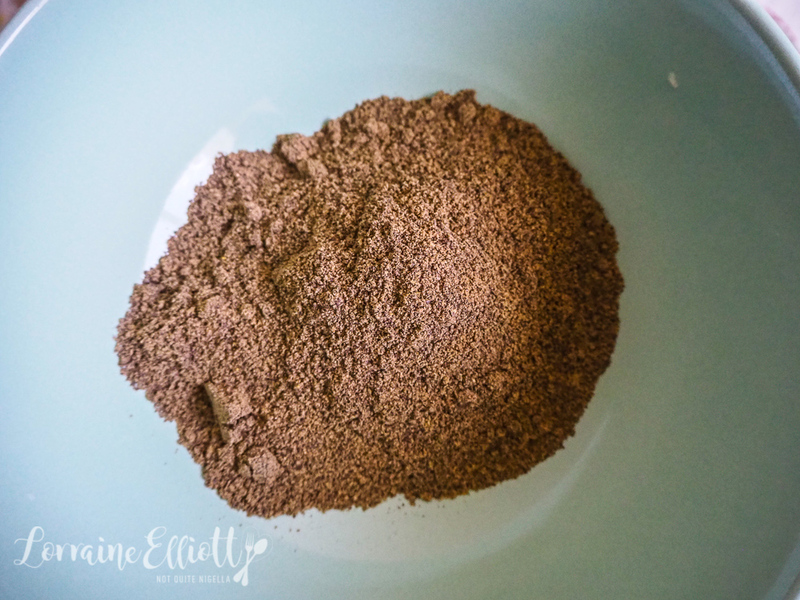 This recipe works just as well with buckwheat flour in place of the hemp flour or plain all purpose flour. These fluffy pancakes are great for using up ripe bananas and are studded with soft, sweet dates for extra sweetness. I was given a bag of hemp flour from Ivy. She had bought some and made what she called a disastrous banana bread with it and not wanting it any more she thought I could do something with it. I opened the bag. It was pungent, not in a bad way, but it was very earthy and strong. I decided to make pancakes with it because it was the weekend and that's when all pancake making takes place (unless you're in an 80's American movie where kids are offered pancakes for breakfast before school). I think the key to working with hemp flour, like wholemeal flour is the partially replace white flour with it but not substitute 100% of flour for it because it is a grainy flour and it is very strong in aroma (and not marijuana aroma ;) ). I actually loved these pancakes for its natural sweetness from banana and dates. I don't think they actually needed honey on top at all. I had a rather big bag of hemp flour left and because you don't use that much of it in a recipe I thought I might see if anyone else might want some of it as Ivy didn't want it backs. I asked Nina who I thought might be a taker for it. She's always looking for healthy food sources. She thought about for a moment considering it well. "I don’t think I’ll bake anything this year..." she said and then added "I don't think I'll bake anything next year too!". So tell me Dear Reader, is baking an annual thing for you? Have you tried hemp? Are you starting off the year with healthier food? 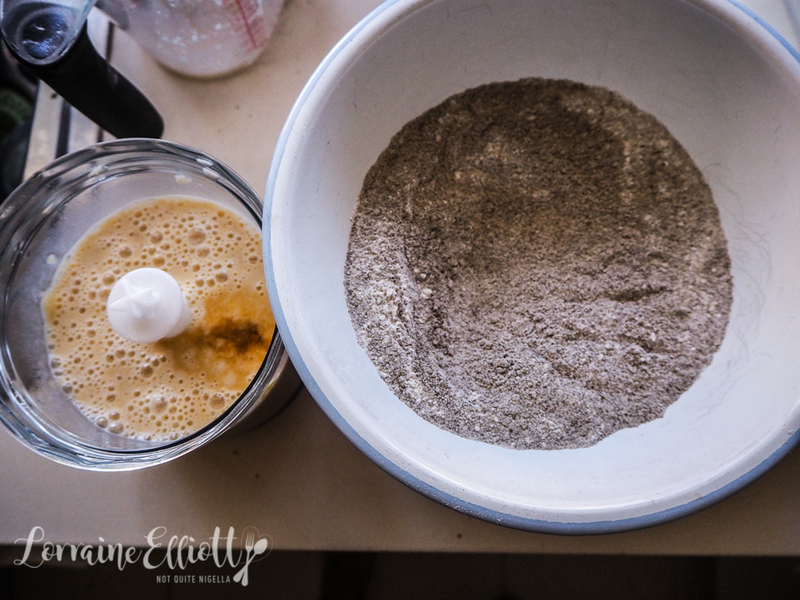 Step 1 - Whisk the flours, sugar, baking powder and baking soda in a large bowl. In a food processor process the milk, bananas, egg and vanilla. 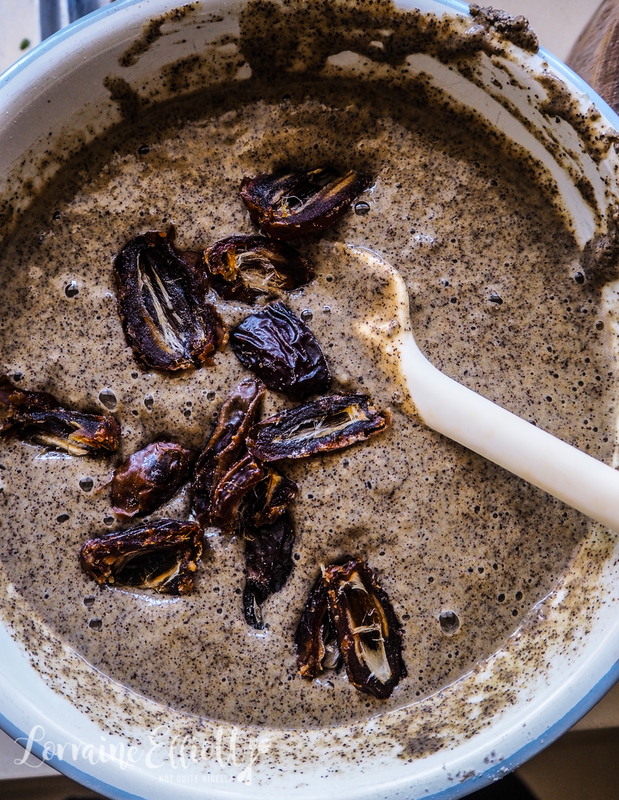 Make a well in the dry ingredients and pour in the wet and mix with the pitted dates until just combined. Step 2 - Heat a frying pan on medium heat and add oil. Ladle some batter making sure to get some dates in each one and fry the pancakes. Turn them over when bubbles appear and adjust temperature. Serve with sliced banana, honey and yogurt. recipeBreakfast Cranachan - Um what? 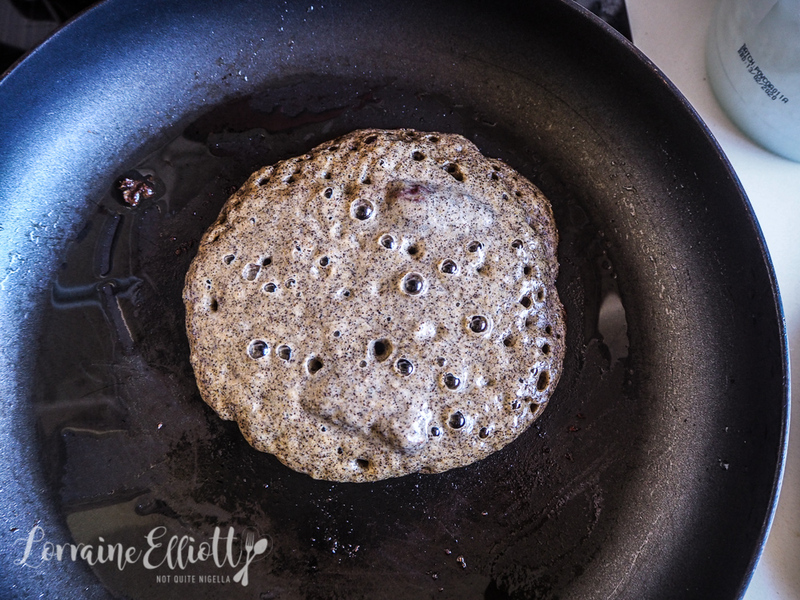 recipePaleo Banana Pancakes - Two Ingredients and Easy! recipeColourful Chia DragonFruit Fruit Shake Parfaits! recipeAll Fruit Soft Serve Ice Cream - No Added Sugar or Dairy! recipe Breakfast Cranachan - Um what? 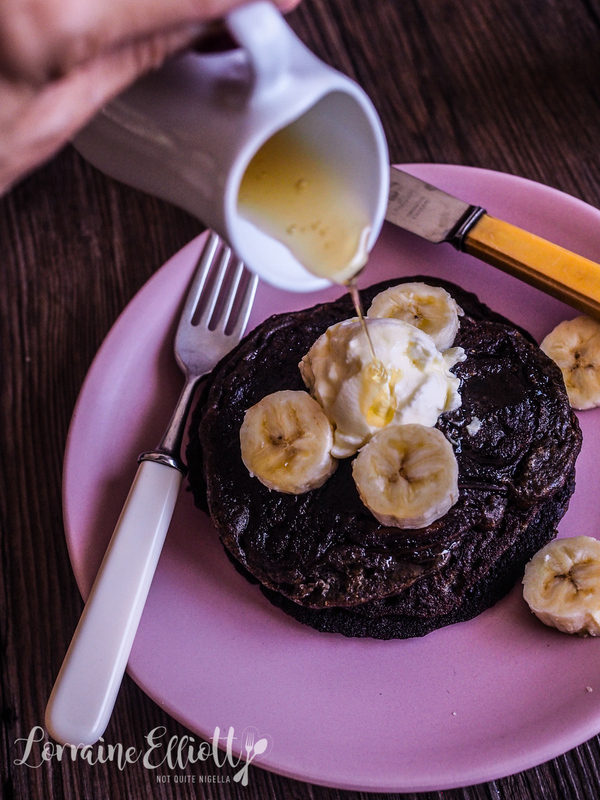 recipe Paleo Banana Pancakes - Two Ingredients and Easy! recipe Colourful Chia DragonFruit Fruit Shake Parfaits! recipe All Fruit Soft Serve Ice Cream - No Added Sugar or Dairy!